These really are lovely neutral pastel pink decorations to use for any party. As you can see in the photo they use lovely pastel pink colours and really look stunning in this room. Each string is 2m long and there are 6 string decorations in each pack. The string is made from nylon making it look invisible. 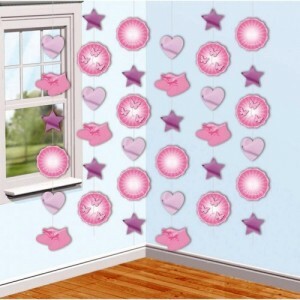 A fab decoration for your party room.